Last week, I joined the excellent hosts of the As You Watch podcast to talk about a wide array of movies and related topics. This fine group of bloggers includes Nick of the Cinematic Katzenjammer, Joe from Two Dude Review, Vern of the Vern's Videovanguard, and Bubba of Flights, Tights, and Movie Nights. Our main topic was Marc Caro and Jean-Pierre Jeunet's film The City of Lost Children. 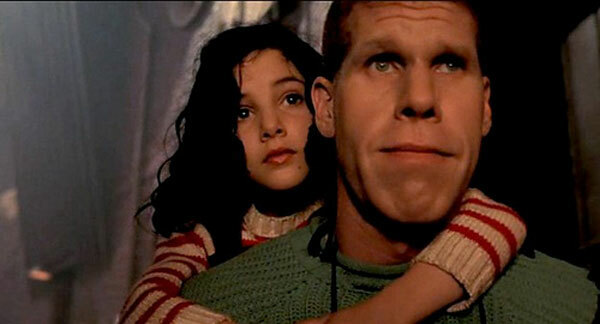 Ron Perlman stars in the clever story that mixes whimsy with some pretty creepy scenes. It was an insightful discussion with varying opinions about the 1995 fantasy. I'm a big fan and enjoyed catching up with it for the first time in a long while. We also covered the upcoming fall releases, including blockbusters like Skyfall and Lincoln. Finally, Nick hosted a trivia game where Vern and I battled it out to the very end. You should check out this podcast; despite my crappy audio, I think it turned out well. AWWW shucks Dan. Thank you for those kind words sir. It was a lot of fun having you on. No problem, Vern. Thanks for inviting me! I had a great time.